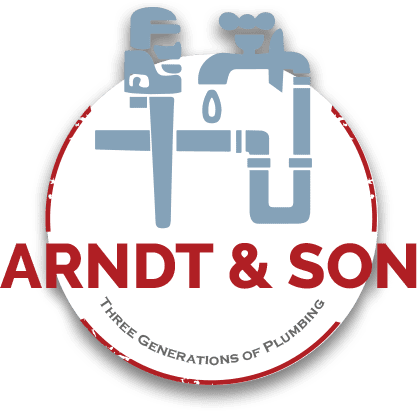 Madison residents know that when a plumbing issue crops up in their homes or commercial space, Arndt & Son Plumbing is the professional name to trust. Our third-generation plumbing company proudly offers a full range of services to eliminate plumbing issues fast. From routine inspections and basic fixture repairs to large-scale projects such as a bathroom or kitchen remodeling, our plumbers have the technical expertise and the latest equipment to get the job done. We always use better-quality materials to make sure our work not only looks good but is effective as well. Additionally, our plumbers are polite and respectful of your property. We wear shoe covers, use protective rugs, and clean up after ourselves upon completion of the job. We even leave you with some helpful tips to prevent plumbing issues in the future. If you are worried about the cost of our service, you can rest easy knowing our prices are fair and affordable. Free estimates and special coupons are available as well to put your mind and wallet at ease. In addition to our expert plumbing services, Arndt & Son is also your one-stop shop for radiant heating systems including in-floor heating and snowmelt systems. Because radiant heating systems use plumbing pipes to distribute warm air throughout your property, it’s only fitting that you enlist the help of a professional plumber when you need repair, maintenance, or installation. Our Madison plumbers are highly trained in all makes and models of radiant heating. We are here to ensure you have high-quality warmth in your home or commercial space all winter long. Schedule an appointment for prompt, professional plumbing or radiant heating services today. Call us at (608) 530-1301 or contact us online! You can count on Arndt & Son Plumbing to get the job done right!